Thanks for the pics Boudica! Kimi Raikkonen: "You want to get something [in a contract] to make sure you will have a good time, and not just in the racing but also on the other side"
Kimi Raikkonen says he only wants to be in Formula One if he is driving for a team that allows him to have good time both on the race track and away from it. Raikkonen was linked to a Red Bull drive next year but that door was closed when the team confirmed it had signed Toro Rosso's Daniel Ricciardo earlier this week. The Finn is likely to remain at Lotus, although he has also been linked to Ferrari, but said he would only stay in the sport as long as he is enjoying himself. "Obviously I enjoy it and it depends on many things," he said. "But you want to get something [in a contract] to make sure you will have a good time, and not just in the racing but also on the other side. "I don't really see why I should do something that I don't enjoy or be something that I'm not. I'd rather not be here if it's not going to be fun. There are a lot of more important things that we have to decide." 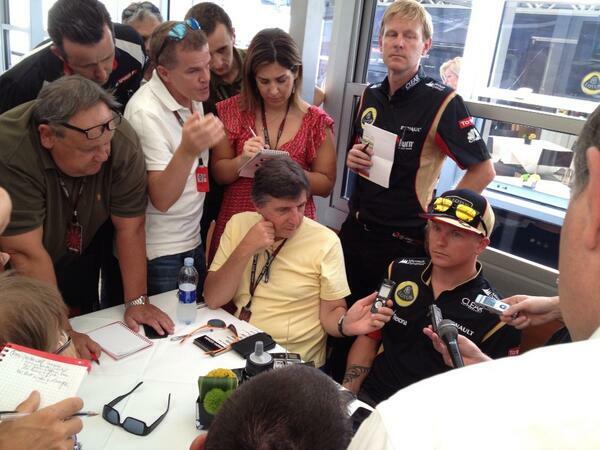 Asked what went wrong in his negotiations with Red Bull, Raikkonen said: "I don't think anything went wrong. Probably they wanted a different thing. Go and ask them, I don't know. "For me it doesn't really matter and it's not the first time. Sometimes you speak with people and it doesn't work out. There can be 10 reasons, but I have no idea. I think they took the option they think is the best and that's fair enough." Raikkonen is currently 63 points behind Sebastian Vettel in the drivers' championship and after a retirement at the last race at Spa-Francorchamps admitted that winning the title is "probably not going to happen". "It's definitely more difficult than it was at the last race," he said. "But we still have a chance and we will try to do the best that we can. It's not going to be easy and is probably not going to happen, but we will do the best that we can to get points back. It really needs some other things to go our way." His face looks thinner... I noticed there was a smirk on his face when he said "I still don't have a contract..."
His face looks more angular To much stress? Kimi RÃ¤ikkÃ¶nen ended the day with the third fastest time on the opening day of the Italian Grand Prix weekend, with Romain Grosjean fourth in the order with an identical lap time of 1min 25.116secs. Sunny weather characterised both of todayâ€™s sessions at the historic Autodromo di Monza. 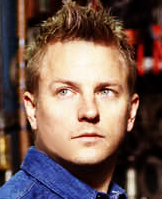 - Kimi ran all day with the longer chassis configuration E21. - Both cars ran with the slimline rear bodywork package in low drag Monza. 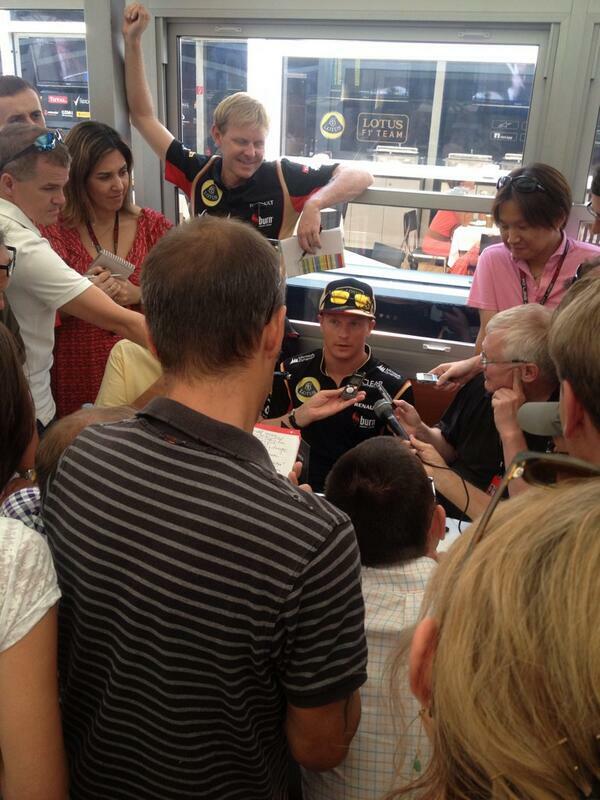 - Kimi evaluated a different front wing in the afternoon. - Pirelliâ€™s hard (orange) tyre was used in the morning and the hard and medium (white) compound slick tyres were used in the afternoon session. 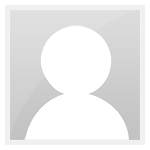 - The E21 demonstrated good pace in all configurations utilised.